WHO IS ELIGIBLE FOR MLTC PLANS IN NY? While Medicaid programs target different groups of people, this report is concerned only with long-term care that benefits the seniors and elderly, with a focus on the state of New York. Medicaid is a joint venture between the Federal government and each state, catering mostly to low-income people. The Federal government provides subsidies and sets basic standards while, generally speaking, each state sets eligibility requirements and other rules that govern services. Some 66 million people received Medicaid benefits in 2018, of those 7.2 million , making it the largest payer of healthcare benefits in the United States. If you are a senior or elderly Medicaid beneficiary, Medicaid has traditionally paid for long-term care in all Medicaid-certified nursing homes or senior living homes. For at-home care, Medicaid has several programs in the state of New York for seniors and elferly that cover home health care (skilled nursing, short-term care) as well as personal care (assistance with daily life tasks – non-medical, long-term care). Home and community-based programs: In 2018, every state in the country, as well as D.C., offered at least one program that pays for elderly-related services for those who choose not to become nursing home residents. The state of New York has various programs (that will be discussed in detail in subsequent sections) that provide assistance at home for seniors, in assisted living facilities (ALFs), in day care, and with other home-related chores. Whether for at-home care, day care, or community-based facilities, the New York State Department of Health offers several programs, referred to as Medicaid managed long-term care (MLTC) plans, that assist, among other demographics, the senior and elderly community. Network of providers: When you become a plan beneficiary, you get all services from a specified network of providers. These networks include skilled nursing home health agencies, non-medical home care agencies, and various healthcare professionals and other providers. MLTC Medicaid Plan: This offers only Medicaid services, typically chosen by people who need home or other long-term care services (day care, specialty care and other services) but are happy with existing arrangements for doctors and other Medicare-type services. Medicaid Advantage Plus: This offers Medicaid and Medicare services, typically selected by individuals who want to combine all long-term care services under one plan. Program for All-Inclusive Care for the Elderly (PACE): You can join PACE if you are 55 or older, typically selected by people who get all their health-related services at home or in day care centers from the provider network assigned to them. 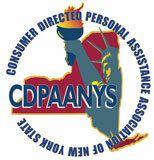 Consumer Directed Personal Assistance Program (CDPAP): This is discussed separately in a subsequent section. Two other less referred-to plans are FIDA (Medicare Advantage + MLTC) and Medicaid Advantage Plan. Mandates to join a plan: If you are 21 or over, a beneficiary of both Medicare and Medicaid, and in need of long-term care (defined as 120 days or longer), then you are mandated to join one of the three types of plans. You can choose to join one of the Medicaid plans where you live, but you can switch plans if you choose at any point later on. In addition, if you already have home care services, the plan you choose will first approve a set of services for you, and then will take over. How to choose a plan and enroll: If you need assistance choosing and/or enrolling in a plan, you may wish to contact a New York Medicaid Choice counselor at 1-888-401- 6582 (TTY: 1-888-329-1541). CDPAP allows such individuals, together with those who support them at home, to hire, manage, supervise, and fire caregivers at their own discretion.The program commonly appeals to individuals who receive at-home assistance with their activities of daily living (ADLs), including, for example, grooming, bathing, dressing, eating, and other ADLs. When they hire their own caregivers (typically loved ones or friend), they get the opportunity to train them to their specific needs, while Medicaid, through the CDPAP Program, covers all caregiver-related expenses. 4. Who Is Eligible for MLTC Plans in NYS? The first step in enrolling is to contact your chosen plan administrators who will send a counselor to your home to conduct a preliminary needs assessment. Needless to say, you can also recruit the help of a certified counselor on your own, someone who will stay with you until you are completely set up with your plan. Although understanding and then applying to an MLTC plan may at first seem daunting, The NY State Department of Health goes out of its way to make the process more readily accessible to those who qualify. This link will take you to the government’s “choosing a health plan” official guide. The NY State Department of Health (The government’s Health Plan Marketplace). This link will take you to the government’s complete MLTC guide. Contact information for regional MLTC guides. To reach your plan administrators, this link provides plan contact information in the various boroughs and cities in the State of New York. This link will take you to certified MLTC counselors. If you have urgent needs (as discussed in the CDPAP section), you may find this link helpful for your immediate needs. This link will also take you to a list of frequently asked questions and answers (FAQs) in regard to managed long-term care. This “paying for health care” guide includes information on Medicare, Medicaid, MLTC and other long-term care payers. Good luck with your MLTC plan!